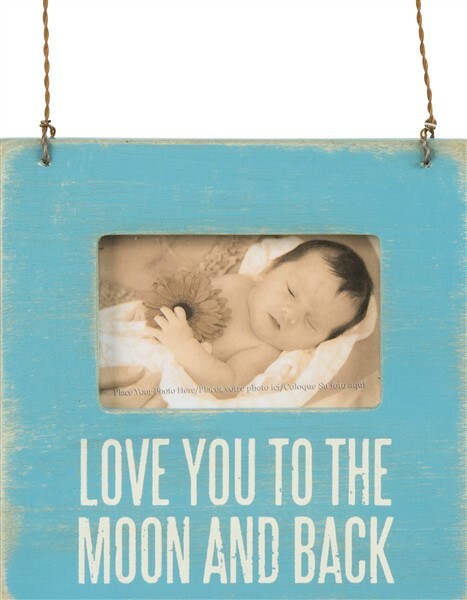 Love You To The Moon And Back mini frame for your baby nursery or child's room. Such a sweet saying to show him your love. Makes a great little shower gift too. It is made of wood, plastic, wire and magnet and is approx 4.5" square and fits a 3" x 2" photo. Hang it, stand it or use the magnet on the back.